My name is Stace, I am a wife & first time mama to my wonderful son, Noah Leo. 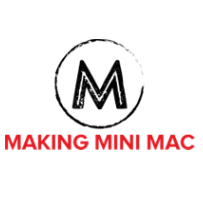 Making Mini Mac is my own personal IVF Journey, It shows the highs, lows & everything in between of IVF, pregnancy & mum life. I am in no way a expert but from the first day that I went to the Tas IVF Clinic I decided I would start a journal… This was my way to express how I was feeling, let my emotions out & just vent. It was originally just so I could remember this journey & remember that everything happens for a reason. But as we have now been blessed with our very own little miracle I now feel like I can share that journey with others. My journey is honest, raw and real… IVF is an emotional rollercoaster & as there are so many families going through it, if my story, experience & tips can help in some way that is all I want. I would also love for this to be a platform to share your stories without judgement.